Open concept, or curbless showers are increasing in popularity due to their sophisticated yet simple design, and the accessibility they offer. Flexibility in design is enhanced through the use of tile, which combines hygienic virtues with versatility in décor. Curbless showers allow you to create a spa-like retreat, with built-in seats and benches, inset shelves and niches, low-profile linear drains, heated floors, and even steam showers. There are many ways to construct tiled curbless showers. Curbless showers rely on the slope of the floor to effectively contain water in the immediate shower area and direct water to the drain. A recessed shower floor allows for the installation of a sloped mortar bed or a prefabricated shower tray, such as the KERDI-SHOWER-LTS, that is flush with the rest of the bathroom floor. Recessing the floor of a shower must be done in a way that preserves the structural integrity and safety of the construction. This may require the services of a qualified design professional (e.g., architect, engineer, etc.). Shower bases must be sloped from all directions to point drains, therefore limiting tile selection to mosaics or other relatively small-format tiles. However, shower bases can be sloped on a single plane to a linear drain, enabling the use of attractive large-format tiles. The KERDI-SHOWER-LTS is a prefabricated shower tray designed to accommodate the KERDI-LINE linear drain along the perimeter of the shower. The shower tray eliminates the need for a mortar bed, and is easy to install. KERDI-SHOWER-LT accommodates the KERDI-LINE drain at intermediate locations. DITRA-HEAT offers all of the same great uncoupling and waterproofing properties of DITRA, along with the element of warmth with its electric heating cables that can be snapped into place. Use DITRA-HEAT to warm up the cool tiled areas outside of the shower. Using KERDI-BOARD to build walls over stud framing in wet areas is an efficient alternative to using gypsum board. While cement backer boards are moisture-resistant, they are not waterproof. Thus, additional measures must be taken to protect wall cavities from water and vapor penetration. KERDI-BOARD can be installed both vertically and horizontally using the screws and washers in our hardware assortment. 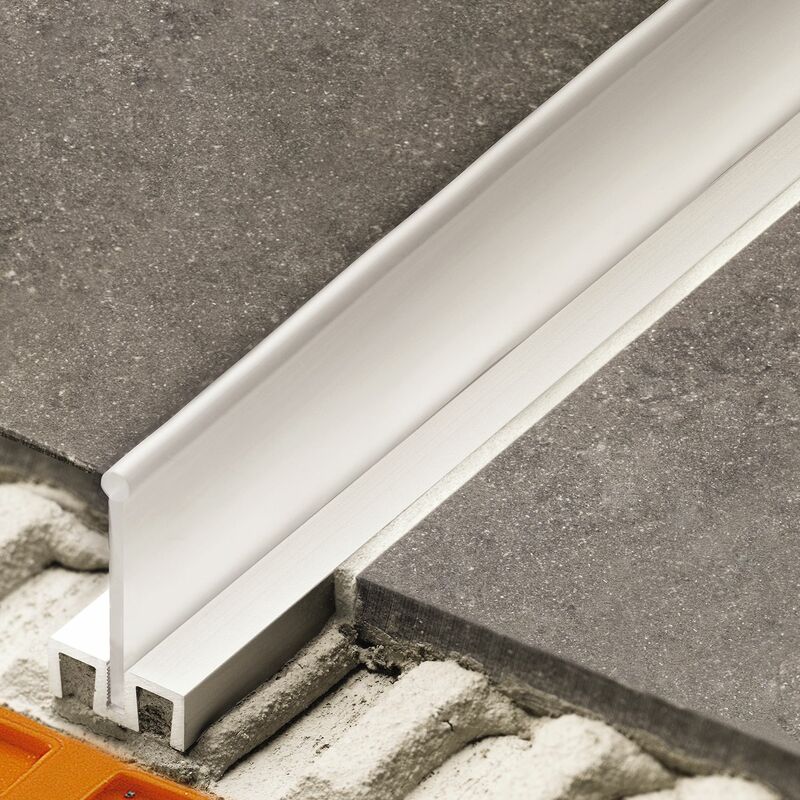 A fully waterproof assembly is easily achieved by sealing seams and fastener penetrations with Schluter®-KERDI-BAND. The KERDI-LINE linear drain is a clean, elegant choice for the shower and can be installed adjacent to a wall or in the middle of your floor. A linear drain allows the shower floor to be pitched in one direction, whereas a point drain requires the floor to be sloped in four directions in order to ensure water drainage. The flat plane of the shower floor allows the installation of large-format tile, which expands design possibilities even further. KERDI-LINE is available in lengths ranging from 20” to 72” and in two frame height options to accommodate any thickness of tile. The channel body is made of formed stainless steel and features a KERDI collar to secure a waterproof connection. KERDI-LINE is available in three elegant grate designs: brushed stainless steel frame with closed or perforated grates for a striking modern look, or frameless tileable covering support to seamlessly blend in with the surrounding tiles. Whether used in traditional or curbless shower applications, KERDI-LINE widens the design spectrum while adding sleek sophistication. When recessing the floor is not an option, a prefabricated shower tray and ramp, like the KERDI-SHOWER-ST and KERDI-SHOWER-SR, facilitate the transition between the shower and bathroom floors. Ideal for use in barrier-free showers, the KERDI-SHOWER-SR ramp is made of lightweight, expanded polystyrene and adheres to the slope ratio required by the ADA. Add an extra element of luxury to a curbless bathroom with DITRA-HEAT. 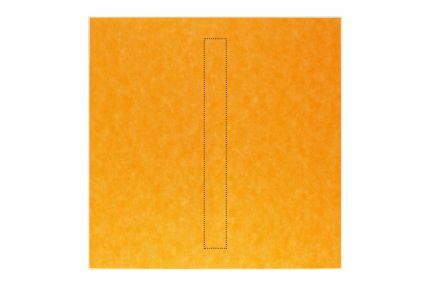 Like DITRA, DITRA-HEAT is made of polyethylene and offers uncoupling and waterproofing protection to the tile covering above. 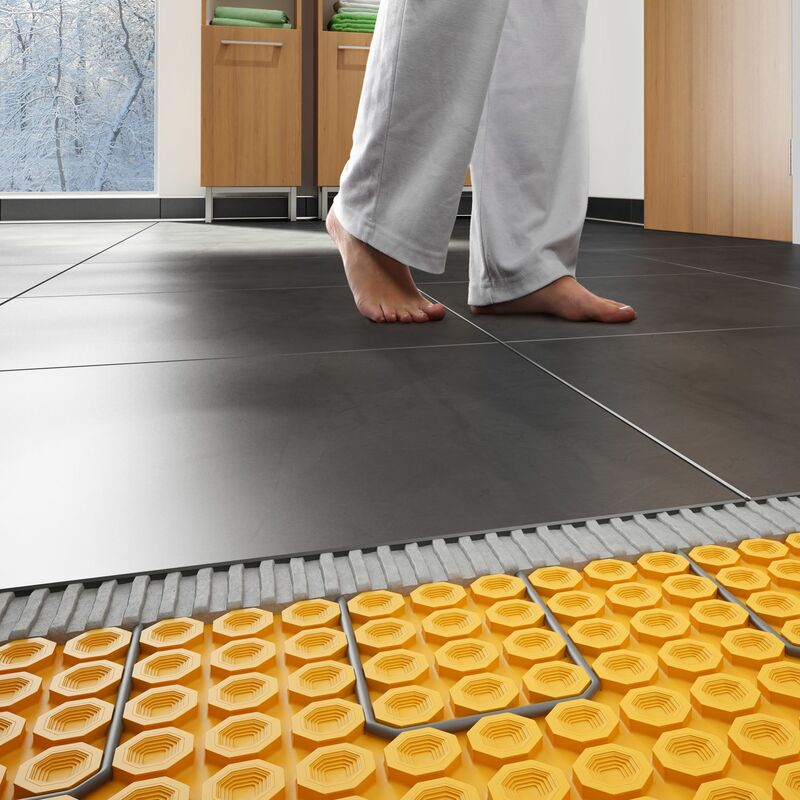 Unlike other in-floor heating systems, DITRA-HEAT does not require the use of clips, fasteners, or self-levelers—the cables are simply snapped into place, allowing you to easily customize heating zones outside of the shower area. 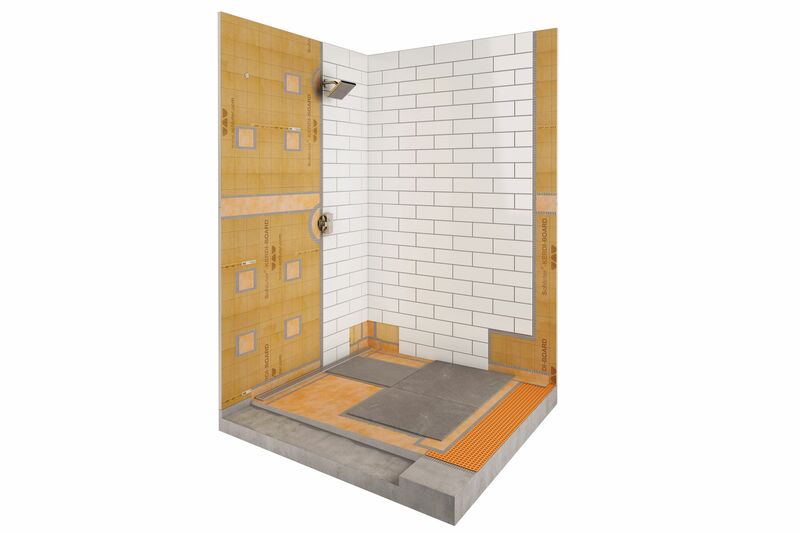 The KERDI-SHOWER-ST is a prefabricated sloped shower tray that eliminates the need for a mortar bed, thus reducing both the weight and installation time. It can easily be cut to size with a utility knife, or it may be extended with dry-pack mortar. The KERDI-SHOWER-ST is designed specifically to integrate with the KERDI-DRAIN. The KERDI-DRAIN features an integrated bonding flange which allows for a simple and secure connection to the KERDI waterproofing membrane. The drain grate is available in stainless steel, various finishes of anodized aluminum, and even a frameless tileable model, which can be adjusted laterally to fit the layout of the tile grid and leveled to the tile surface—accommodating a wide range of tile thicknesses. Contrary to popular belief, tiles are porous and not inherently waterproof. 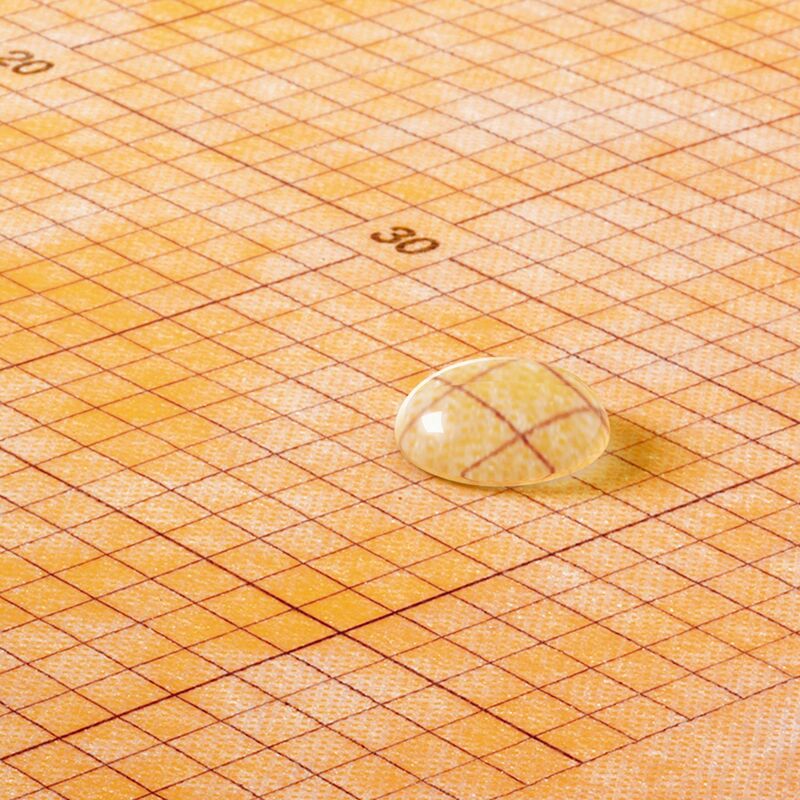 Without effective waterproofing measures in place, water and moisture will permeate through the tile, resulting in moisture damage and/or harmful mold build-up—behind the tile, where it cannot be seen. 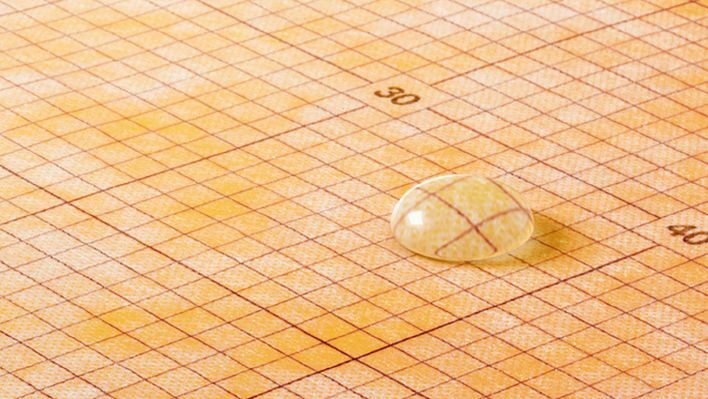 KERDI is specifically designed as a waterproofing membrane to be used in conjunction with ceramic and stone tile coverings. 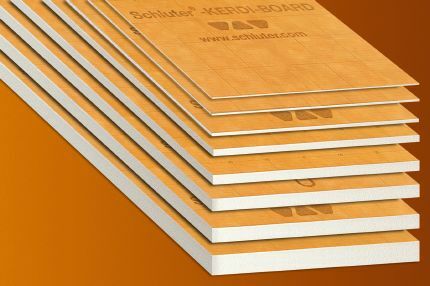 KERDI is a pliable, sheet-applied, bonded waterproof membrane and vapor retarder that is fitted between the tile and tile substrate (gypsum, cement board, etc.). Made of soft polyethylene and featuring an anchoring fleece on both sides, KERDI is easily anchored to the substrate using thin-set mortar. 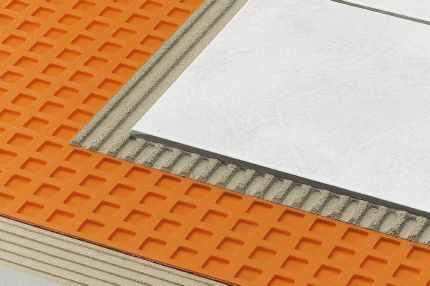 The membrane also features convenient printed gridlines to help make cuts and setting the tile easier. Waterproofing measures are essential in any bathroom, but especially important in a curbless environment. 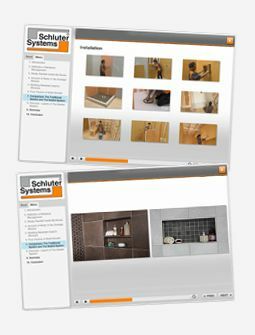 Schluter®-Systems offers a complete line of products with options that integrate together to form a fully bonded, watertight assembly for tiled curbless showers. As with any room exposed to water and moisture, waterproofing measures must be put into place. 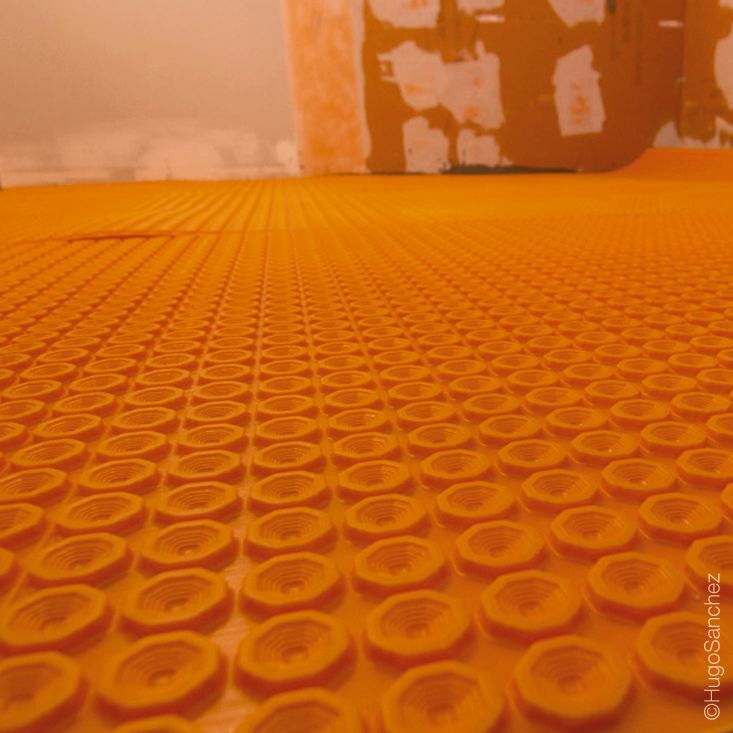 The KERDI offering of products includes waterproofing membranes for shower walls and bases, as well as specialty pieces for all the hard-to-protect areas, such as pipe protrusions, inside and outside corners, and curbs. With KERDI, you can treat all the areas of your bathroom and ensure the entire room is waterproof. KERDI-LINE linear drains add a touch of elegance, allowing for single-sloped floors and large-format tiles that carry through from the floor, right in to the shower or wet area of the bath. Shower curbs and shower doors can disappear, offering freedom and security to individuals with limited mobility, or homeowners wanting to age in place. 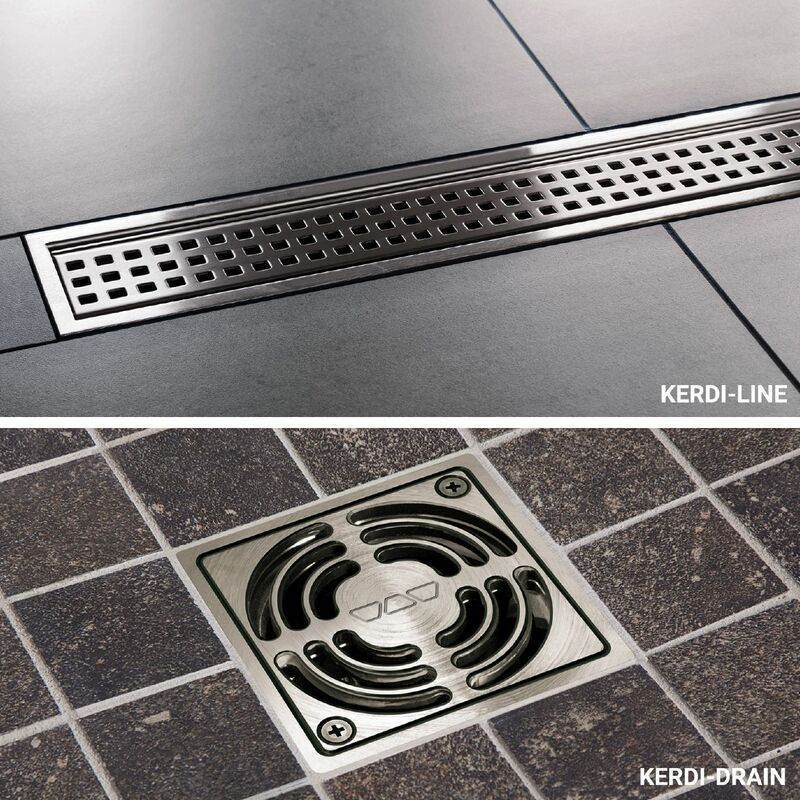 Point drains, such as the KERDI-DRAIN, offer a traditional alternative to linear drains. For point drains, the shower base slopes on all angles towards the drain. Install your drain of choice on top of the mortar bed or shower tray, then install the KERDI waterproofing membrane on the walls and shower base. In curbless bathrooms, the area exposed to moisture is not confined to the shower alone, so it’s difficult to separate the “wet area” from the “dry area”. As such, the bathroom must be sufficiently protected against water and moisture as whole. DITRA and DITRA-HEAT are waterproof, uncoupling membranes that prevent the main cause of cracked tile and grout by absorbing movement stresses from the substrate and ensuring the integrity of tiled surfaces. DITRA-HEAT is the only uncoupling and waterproofing membrane to also incorporate electric floor warming to create comfortable tiled floors. With DITRA-HEAT and DITRA, simply treat seams and connections with the KERDI-BAND waterproofing strip to create a completely waterproof bathroom. Learn more about the essentials of waterproofing. Incorporate a heated tile floor.